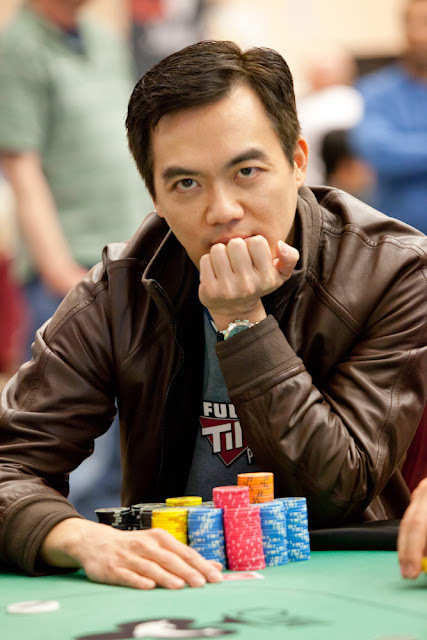 With John Juanda's elimination in 25th place, play has completed for the night. 24 players will return at 12pm to play down to the final 6. Still in the hunt are Shooting Stars Mike Matusow, Kathy Liebert, and Mike Sexton, along with names like Galen Hall, Zachary Clark, and Dan "KingDan" Smith. Chip counts and seating assignments will be posted as soon as they are available. The tournament room will be relocating inside the Bay 101 Casino, and we will do our best to have the live stream up and running as soon as possible.